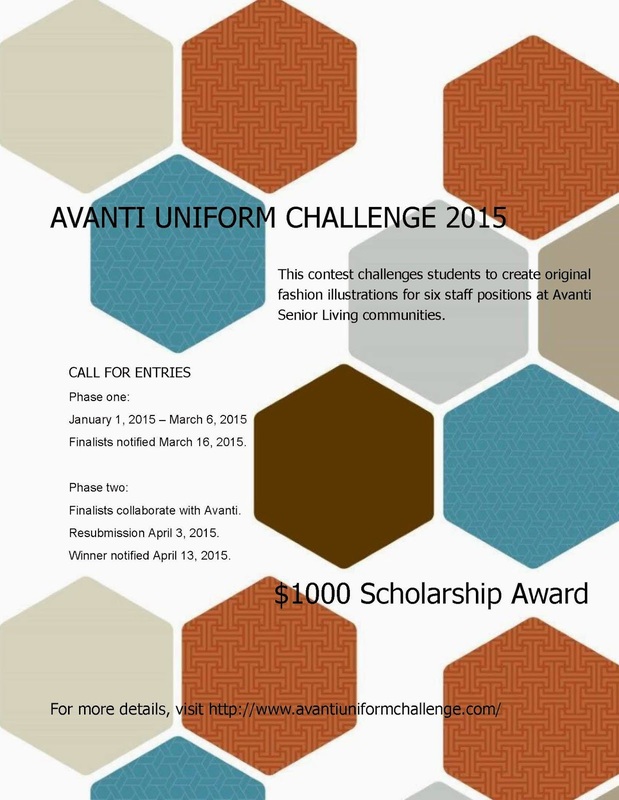 The “Avanti Uniform Challenge” ask students to create original uniform designs for six staff positions at Avanti Senior Living communities. Corporate sponsorship is through Avanti Senior Living and studioSIX5 interior design. The call for entry period is January 1, 2015 – March 6, 2015. Submission deadline is Friday, March 6, 2015 at 11:59 pm CST. Five finalists will be notified on Monday, March 16th. Finalists participate in national press releases through Forte Public Relations. Finalists collaborate with Avanti Senior Living to refine final designs. · Submission deadline is Friday, April 3rd at 11:59 pm CST. Winner(s) will be notified on Monday, April 13th.